Have you found yourself curious about the Chabrador? Also known as the “Chowbrador,” or “Lab Chow,” this pup is a mix between the Labrador Retriever and Chow Chow breeds. We are going to explore all things Chabrador, from his intelligent mind to his dignified nature, and everything in-between. So what makes this Chow Chow Lab Mix so unique? Let’s find out! 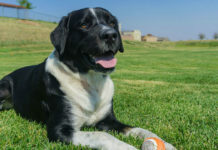 Since the Chow and Lab mix is a crossbreed, many of his characteristics will be left up to chance depending on which purebred parent he favors most genetically. These characteristics could include differences in his personality, physical appearance, temperament, and more. But what is crossbreeding and why is there controversy surrounding the practice? Although crossbreeding has been around for hundreds of years, it has increased in popularity and publicity over the last decade or so. Therefore it is considered a relatively new practice amongst breeders. 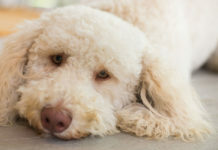 Supporters claim that crossbreeding may help to reduce cases of genetic health defects prone to purebred dogs as a result of generations of overbreeding. Find out all about the mutt vs mix debate here. Where Does The Chow Chow Lab Mix Come From? Since the Labrador Chow mix is considered a first-generation crossbreed, there is very little known about his origin. Luckily, by digging into the histories of the Chow Chow and the Labrador Retriever, we should be able to learn more about their offspring, the Chabrador Mix. The Chow Chow has been around for quite some time. In fact, it is believed that he is actually one of the oldest dog breeds in the world! Artifacts dating back to 206 BC depict this ancient breed in the Han Dynasty, but historians suppose it’s possible the Chow Chow’s existence began much earlier than that. The Chow Chow is believed to have held a variety of trades during his long history, from being a loyal companion dog to the nobility in China, to hunting, guarding, and hauling. But mostly, this is a dog with a royal record. In fact, an emperor during the Tang Dynasty owned over 5,000 Chow Chows in his lifetime! It’s even said that the original teddy bear was modeled after one of Queen Victoria’s Chow Chow puppies. Possibly one of the most interesting bits of the Chow Chow’s history is when they starred in an exhibit in the London Zoo’s “Wild Dogs Of China” during the 1820s. In the 1890s, the Chow Chow found his way to the United States of America, where he was officially recognized by the American Kennel Club (AKC) in 1903. 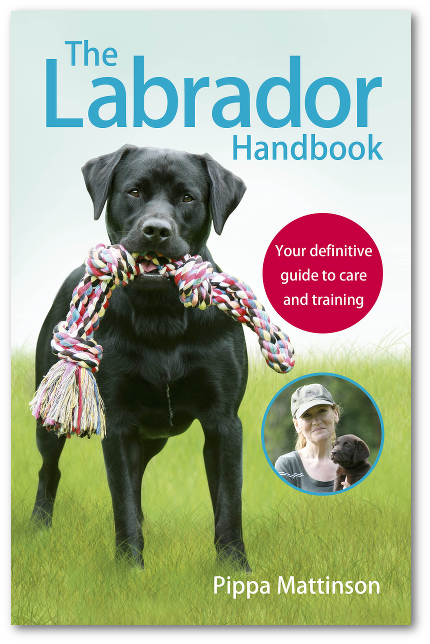 The Labrador Retriever hails from Northwest Newfoundland, Canada. A famously intelligent breed, the Lab was once known as “St. John’s Dog,” and he was a working dog, mostly bred for hunting. The Labrador became an AKC official breed in 1917, and it wasn’t long after this his popularity skyrocketed amongst families and breeders. Today the Lab is the most popular, number one dog in the US! This approval rating can likely be attributed to his gentle, intelligent nature, giving him that family-friendly reputation he’s famous for. These days, the Labrador Retriever is primarily known as a loving pet. They are renowned for their sweet disposition while at the same time being recognized as a phenomenal service dog and emotional support dog. So how do the backstories of the Chow Chow and the Labrador influence their Chabrador offspring? As always, when it comes to crossbreeding it’s important to keep in mind that the outcome in regard to things like temperament can be unpredictable, and the Chabrador is no exception. Nevertheless, both the Chow Chow and the Labrador share a few similarities, including energy level, loyalty, and friendliness. But what temperamental traits could the Chabrador inherit from each of his purebred parents that are unique? The Chow Chow is a serious dog with a dignified nature who can be known to be standoffish with strangers, but very loving and affectionate with his family members. In fact, a properly trained Chow Chow makes a fantastic family dog and does very well with children. The Chow Chow is easily trained considering his intelligent nature. He can be very adaptable to apartment living as long as he is exercised properly and given the adequate amount of attention. But what about the Labrador? We all know the Labrador Retriever for his intelligence. He is also one of the top choices when it comes to families with kids, due to his affable nature. The breed tend to be very friendly, in fact sometimes too keen to spend time with their family and even random strangers they meet at the dog park. Considering the above information, a prospective owner of a Chabrador can expect a crossbreed who is faithful and affectionate, but he may be aloof with strangers if he inherits his Chow Chow parent’s more serious nature. As always, we recommend early socialization and proper training to ensure the health and happiness of your Chow Chow Lab Mix. As with temperament, the Chabrador may inherit his appearance from either parent, or some from each. This means features like coat color, weight, and height, could be left up to chance depending on which parent the Chabrador takes after most. For example, the Chow Chow is a compact dog, well known for his coarse coat and the mane-like tuft that grows around his upper body. An adult Chow Chow will be around 17–20 inches tall. A male Chow Chow weighs around 55–70 pounds while a female will weigh around 45–60 pounds. The medium sized Labrador Retriever comes in three main colors – black, yellow or chocolate. 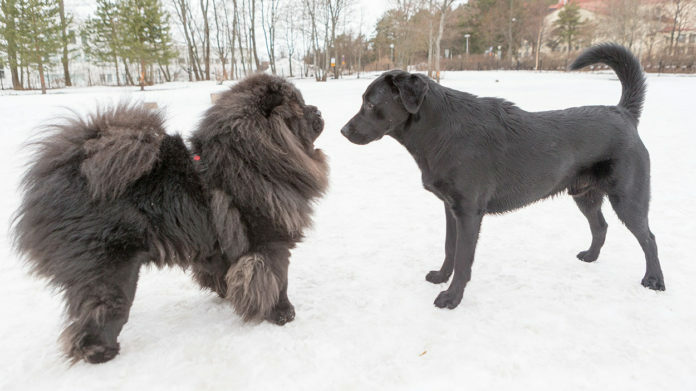 As mentioned above, both the Chow Chow and the Labrador will have very thick coats, so a potential Chow Chow Lab Mix owner can prepare for a crossbreed that is similar. Other than that, the Chabrador’s appearance will be contingent on which parent he favors genetically, but also what traits his parents have. For instance a black Lab Chow mix, especially if the Chow parent has black fur will likely be black. 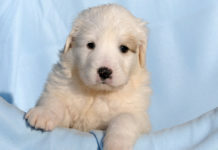 And of course a yellow Lab Chow mix with a cream colored Chow parent will likely be lighter in color. Be sure to research your pup’s parents to find out more. Since both the Chow Chow and the Labrador are shedders, a prospective Chabrador owner can certainly prepare for a bit of maintenance when it comes to grooming. As we’ve covered, the Chow Chow comes in both smooth and rough coating, but either version has a lavish double coat that will require steady grooming. Consistent brushing will also be required at least twice a week to decrease matting and keep the Chow Chow’s skin and fur healthy. The Chow Chow will need a monthly bath as well, and it is recommended that after bathing he is brushed carefully and then blown dry with a blow dryer on cool heat. The Lab is less maintenance, with a shorter coat that sheds only seasonally. Still, the Labrador should be brushed regularly to maintain a healthy coat and to help keep all that loose hair off your furniture and clothes! The Labrador’s ears will also require consistent cleaning to keep wax and moisture at bay, and his nails will need regular grinding or trimming to avoid cracks and splits. Aside from brushing and grooming, a prospective Chabrador owner should prepare to clean their Chabrador’s ears regularly. The Chabrador will also need his nails trimmed. Since both the Chow Chow and the Labrador Retriever are active, intelligent breeds, they can be known to exhibit some stubborn behaviors. This can be true of the Chabrador as well. Still, with patience and positive training methods, training your Chabrador should be simple. Remember, training can also serve as a wonderful bonding experience between you and your Chabrador. If the Chabrador takes after his Labrador parent, you can expect him to pick up commands easily and efficiently. However, and as we previously mentioned, the Lab is a very high energy dog, especially as a puppy. Keep in mind the Chabrador could inherit this trait. Both the Chow Chow and the Labrador require an adequate amount of exercise, as they are active dogs. This means their Chabrador offspring will need to be walked daily, and he will require attention and mental stimulation. 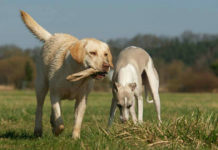 The Lab especially enjoys running outdoors, so a prospective Chabrador owner should expect lots of play and daily outings. It is also important to note that the Chow Chow has a very lush coat, and he does not tolerate heat well. Be mindful of this when taking your Chabrador crossbreed outside to exercise, as he could overheat. Although both the Chow Chow and the Lab are known to make great family companions, we always recommend early socialization and proper training for all Chabrador puppies. This will help ensure that your Chabrador grows up to be well adapted and happy. 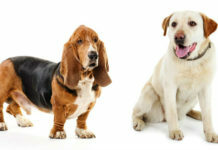 All crossbreeds can be prone to inheriting health issues from either purebred parent. Crossbreeding is a relatively new practice and for this reason, it’s important to remember that your Chabrador mix could be predisposed to health issues relative to both the Lab and the Chow Chow. For this reason, we recommend doing plenty of research in regard to the generational health issues that affect both the Chow Chow and the Labrador. In this case, we will begin with the Chow Chow. A healthy Chow Chow’s lifespan is 11–13 years. Still, he does have some inheritable health issues to be aware of, including hip and elbow dysplasia, luxating patellas, eye problems, and even cancer. A Labrador Retriever’s lifespan is 10–12 years. The purebred Lab is known to suffer from hip or elbow dysplasia, where the joints are not properly formed. They can also have eye problems including PRA blindness or cataracts. You will also need to be aware of the potential for conditions such as cranial cruciate ligament disease. Keeping the above in mind, your Lab Chow mix life expectancy could be anywhere from 10–13 years. In addition, his health issues could vary depending on what his purebred parents have passed on to him. Early health screening for your Chabrador can help avoid or prepare for future health issues. 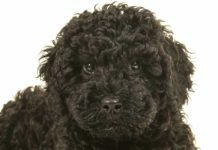 Keep in mind that reputable breeders will be able to provide certificates regarding the health of the parent dogs, proving they have been screened and cleared of certain health issues. You can learn more about the health testing requirements as specified by the American Kennel Club for the Chow Chow and the Labrador Retriever here. The Chabrador’s purebred parents are both active, intelligent dogs who are easily adaptable to most environments. Still, an ideal Chow Chow Lab Mix owner will live an active lifestyle. And You should have the ability to exercise and train your Chabrador crossbreed. Because of the Chabrador’s thick coat, it is likely he will not tolerate warmer environments. So living in places with a hot climate won’t be good for him. Other than that, with proper training and early socialization, the Chabrador should make a wonderful companion and family pet! However, allergy-sufferers should keep in mind that this crossbreed sheds quite a bit. He may require consistent grooming, especially if he takes after his Chow Chow parent. So you have decided that the Chabrador is the perfect dog for you? Congratulations! As mentioned above, he should make a fantastic companion dog who displays affection and loyalty to his human counterparts. He should even do wonderfully with children, especially when early socialization and proper training is utilized. Still, ensuring that you get your Chabrador mix from a reputable source is of the utmost importance. As always, we recommend doing plenty of research before you decide where you get your Chabrador. Your pup will set you back anywhere up to around $1,000. One of the benefits of going to a breeder is the ability to ask questions and dig into the history of your potential Lab Chow puppies. So make sure to take advantage of this and use your voice. Always look into any health or temperamental issues with the Chabrador’s parents. You should ask about previous litters and any concerns that have arisen in the past. Also, be sure to ask about health screening. If you are still unsure about where to go to find your Chabrador puppy, you can always attend local dog shows. Networking at events like dog shows can help point you in the right direction. You can also find a local AKC club, which can help you find the right breeder for you. To find a club in your area, visit www.AKC.org. Previous articleTea Tree Oil for Dogs – Miracle Treatment or Red Herring? In my life I have had 4 chabradors. To me this mix of dogs is absolutely the best companion anyone could ask for. Bear was the first one we had, I was 2 when we got him. He was almost 18 when we had to put him to sleep. The devotion and protectiveness of this breed is amazing. Yet they never fail to make you laugh. I truly recommend this dog to anyone looking for a true furbaby companion.